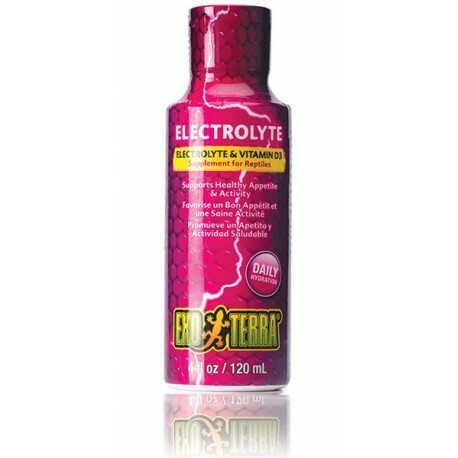 Electrolytes are minerals (magnesium, potassium, sodium, and calcium) that are lost through forms of dehydration, particularly in stress situations (e.g. during shipping, breeding, illness, etc.). 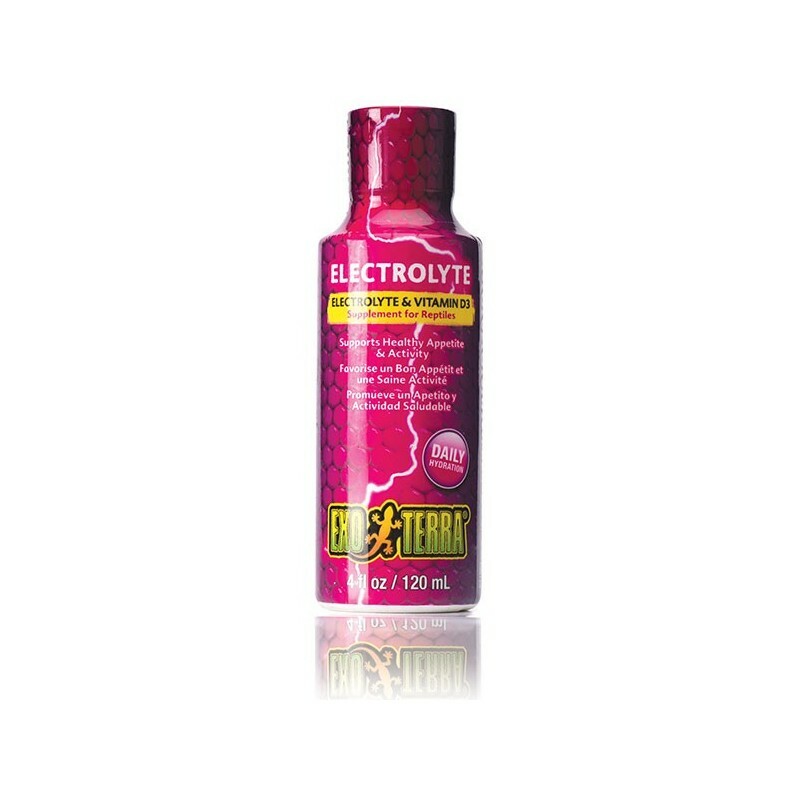 Electrolyte maintains a balanced electrolyte flow within body fluids and supplies Vitamin D3 for proper calcium absorption. Vitamin D3 is vital for captive reptiles not exposed to UV-light to prevent or reverse metabolic bone disease. Keep out of reach of children. If swallowed seek medical advice.